Soh Chun Bin is an experienced corporate and commercial lawyer, with 19 years of experience in the corporate finance and legal sectors. He specialises in capital markets and mergers and acquisitions. Chun Bin has advised on many Singapore and international initial public offerings of corporations and real estate investment trusts, including secondary equity and debt fund raising by such entities. His expertise spans many diverse industries, including brick and mortar businesses as such real estate developers to tech companies. Chun Bin has also advised on many cross-border transactions and has a broad network of clients spanning countries such as China, Indonesia and Malaysia. Chun Bin commenced legal practice in 2000. 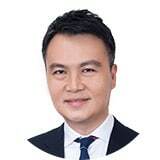 He started his career as a corporate lawyer at a major law firm well known in Singapore for its expertise in corporate finance and mergers and acquisitions, and moved on to be one of the early pioneering lawyers at a leading Singaporean law firm. In May 2012, he left legal practice to head up various corporates, including public listed companies, as chief executive. Prior to joining ZICO Law, Chun Bin was the head of legal at a prominent law firm until late 2018. Chun Bin has been recognised as a leading lawyer by legal publications such as Chambers and Partners and AsiaLaw, and also sits on the boards of listed companies. He was a former scholar with a global multinational corporation headquartered in Singapore. Chun Bin was also a contributor for “Mergers and Acquisitions in China”, a book published by Thomson/Sweet & Maxwell Asia. He has on occasion presented on topics related to his expertise in various seminars including teaching seminars conducted by the Singapore Institute of Directors.